Welcome to my website! You will find information for belly dance classes I currently teach in the Redditch area. I have been belly dancing for over 12 years now, and still have a real passion for it! I love this style of dancing as it unites women (and some men!) no matter what age, shape or size. 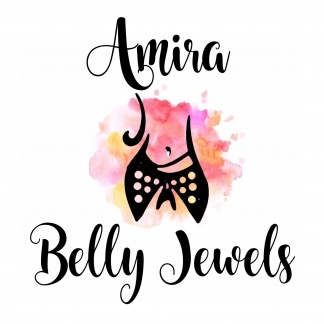 "Belly dance" to me encompasses and fuses together a wide range of dance styles, from the traditional 'cabaret' style belly dance to tribal fusion, bhangra and bollywood to name a few. I enjoy experimenting with all styles and therefore don't label what I teach - as long as we are all having fun and learning to dance then why not mix a fusion of styles! I love the motto "Dance as if no-one were watching" because I feel that this is when you dance your best. When the music takes over and you lose yourself in it, with the moves flowing to the rhythm of the music. It makes me proud watching my dancers progress and grow in confidence week by week and I love to see what a social aspect my classes bring to peoples lives. To a lot of my dancers belly dancing is more than just a weekly dance class, it is where they meet new friends, enjoy a giggle and learn new dances. Long may it continue! I am constantly striving to improve my own dancing and take workshops with experienced and well respected teachers where possible. I love learning from any of the Bellydance Superstars, along with the very talented Ozgen & Maria D'Silva. I even took a class with the famous Fifi Abdou! As I continue to grow into my own dance style I will use my experiences and knowledge to pass on to others to carry on my love of dance.